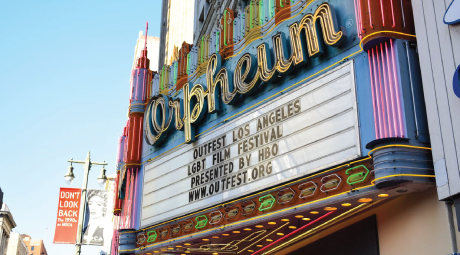 Outfest connects diverse populations to discover, discuss and celebrate stories of LGBTQ lives. Outfest uses the power of movies to promote acceptance and equality for all LGBTQ people. Outfest ensures that stories of LGBTQ people are created, shared and protected. Outfest Los Angeles LGBTQ Film Festival Showcasing the best LGBTQ stories from around the world. Outfest Fusion LGBTQ People of Color Film Festival Spotlighting the diversity of the LGBTQ community. Outfest UCLA Legacy Project The only program in the world dedicated to protecting LGBTQ films for future generations. Outfest Forward Developing the next generation of artists and filmmakers through education and mentoring.